John Doan, one of the few masters of the rare twenty-string harp guitar, has performed with a diverse range of artists including pop star Donovan, folk legend Burl Ives, jazz ace Larry Carlton, as a member of the New Christy Minstrels with Randy Sparks, among others and his virtuoso playing and arranging has attracted praise from no less a guitar luminary than Chet Atkins. He recently contributed a chapter to "Between the Strings - the Secret Lives of Guitars", a veritable compendium of the world's greatest guitarists with introduction by B. He recently contributed a chapter to "Between the Strings - the Secret Lives of Guitars", a veritable compendium of the world's greatest guitarists with introduction by B.B. King. He has appeared in numerous publications including the Washington Post and Billboard Magazine as well as staring in two much-loved television specials produced by Oregon Public Broadcasting: "A Christmas to Remember With John Doan" (seen on PBS) and his Emmy nominated "A Victorian Christmas With John Doan." His latest recordings on Hearts O' Space Records have been nominated for "Best Celtic Album of the Year" with Eire - Isle of the Saints winning that title. His music has also been featured on numerous prime-time television and movie productions including Walt Disney, among others. His lastest video project is a 90 minute documentary that he wrote and starred in titled "In Search of the Harp Guitar." 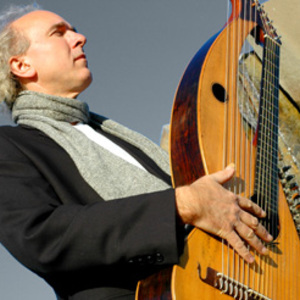 John recently hosted an International Harp Guitar Festival at Willamette University in Salem, Oregon where he is an Associate Professor of Music. He lives near Salem with his wife Deirdra atop of an extinct volcano overlooking the Willamette Valley (he is hoping his view will not be enhanced in the coming years).